Ahhhh, I remember karuta. Every year the freshman class would play it at the gym in my base school, and I was asked to join in (the teachers would take turns reading off cards). But I get ahead of myself. Today's post is written by a fellow DMC fan, Jessie Guill of Pokerlistings.com. Take it away, Jessie. Almost all of us have played one form of card game or another. In Japan, one of the more popular games to play is known as Karuta. On the surface, it is a simple literary game, but it may actually be one of the toughest sports that you will ever encounter. Yes, the game requires excellent hearing, sharp memory, and stamina that it is considered a sport by many. There are varieties of this game all throughout Japan, but in this article, we'd like to focus on the game of competitive karuta. The game uses a set of cards, called uta-garuta, where Hyakunin Isshu poems are printed. 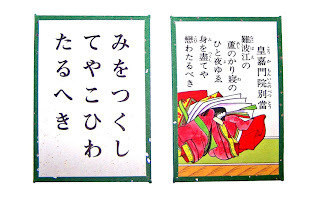 There are two decks of this card: one is called Yomifuda (reading card) where the entire poem is printed; the other is Torifuda (playing card) that contains only the last two verses of the poem. The game is typically played one-on-one. Each player gets 25 torifuda cards and strategically arranges them in three rows on the floor. The players have to memorize the positions of all cards, and we must note here that while they can recognize the texts, the opponent's cards are always up-side-down to the other player's point of view. A reader recites a yomifuda card and players compete on the torifuda card that corresponds to it. The first to touch the card gets it and removes it from the game. Once a player takes a card from the opponent's side, the said player may send one of their cards to their opponent. The first to empty their territory wins. Sounds simple? The truth is, karuta players are advised to memorize all one hundred Hyakunin Isshu poems. That alone is challenge enough. Those who are serious (and passionate) in competing train themselves to improve their agility and accuracy. Some could even grab a card once the very first syllable has been read. 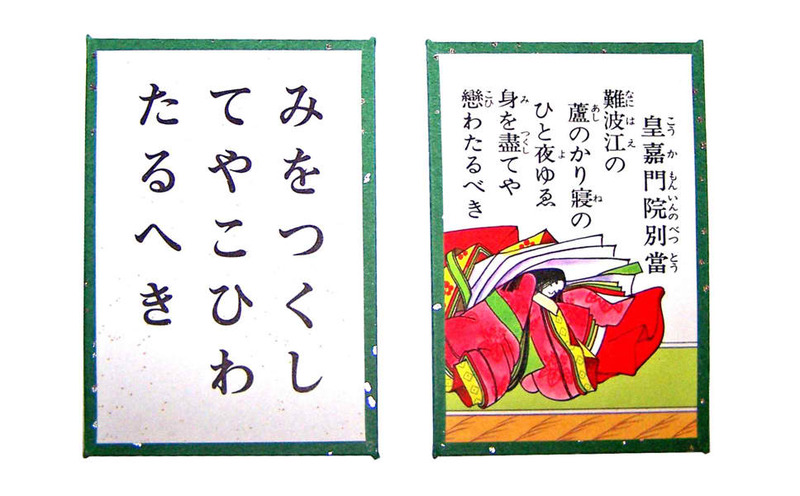 Due to its use of classical poetry, karuta is often being taught to children in elementary and junior high schools. Some high schools have their own clubs that they send to competitions and individual tournaments are being held throughout the year. Karuta is also a traditional activity during New Year's Eve. Lately, the game is gaining popularity among the young and even foreign anime fans. 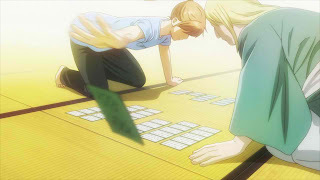 This could be credited to an ongoing manga (and anime) series called Chihayafuru, which focuses on competitive karuta. Perhaps the portrayal of karuta in this anime is a bit exaggerated, but it definitely drives interest to anyone new to the game. Most popular card games in the world were developed during the early times for entertainment and gambling purposes. Poker card games, for example, have evolved into different varieties and gained mainstream popularity due to wide media coverage, numerous tournaments, skilled players, and enticing stakes. While different in purpose, karuta also evolved in a similar way. Championship and other tournaments are covered by the local media, and a few TV shows build plots that revolve around karuta. Perhaps it is because of the difference in cards being used that competitive karuta won’t be a worldwide phenomenon in the near future, but foreigners with huge interest in Japanese culture will definitely be captivated by this culture-infused card game. Trivia: Despite the game's cultural background, the word “karuta” isn't a native Japanese term. It is adopted from “carta”, the Portuguese term for “card”. Just recently I was lamenting the fact that it's difficult and/or expensive to buy Japanese media in the US (or I guess any non-Japan country). 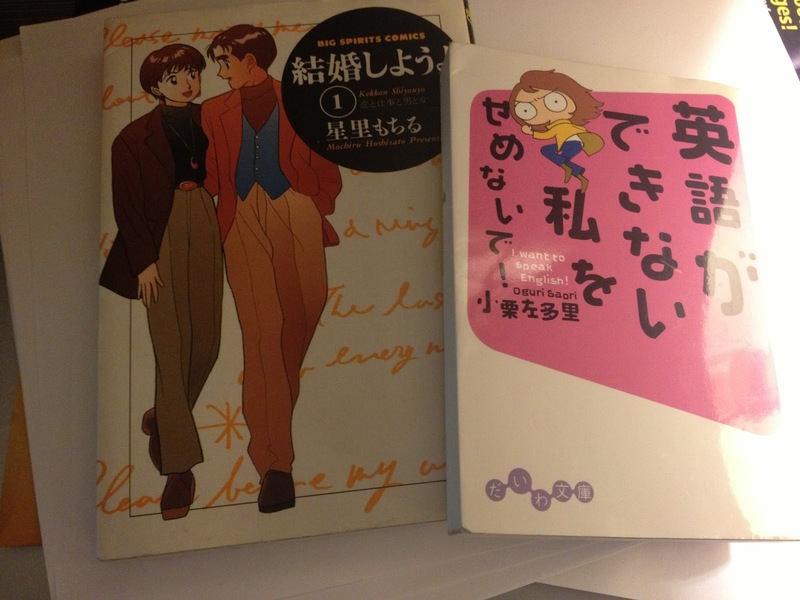 This is still true, but just a week ago or so I discovered that Japanese books can be ordered in the US. From warehouses in the US. Kinokuniya, one of Japan's largest book retail chains, has apparently been quietly doing some international expanding over the years. In the US, they have store locations in New York, California, Oregon, and Washington state. They also do online ordering and domestic shipping. Their US website is here. The other day I ordered a textbook for about $55 and another book for about $12. Shipping was $8. Not bad! So if you're in the market for some J-books (they also have Chinese and some English titles, though don't know why you'd want to buy the English books from them), go check it out. They also have a membership program. I believe signing up for a year is like $20, and then you get discounts on all your purchases. Worth considering if you plan on buying a few books. If you frequent Japanese message boards or comment sections, or perhaps follow some Japanese Twitter accounts or have some J Facebook friends, you've probably seen roman "w"s scattered in with the kana from time to time. And you if you do frequent those sites, then probably know what they mean. If you don't and/or you're not, however, here's a quick explanation for you. Like English and I suspect may other languages, Japanese has its own evolving "internet language." I suppose this crosses into text messaging realm as well, but I'm not sure if there's some term that encompasses both. In any case, "w" is kind of the Japanese version of "lol." You see, the word for laughing or laughter is 「笑う」. Sometimes you'll see 「笑」 thrown into posts or comments to denote laughing. This can be further shorted to "w" for "warai." One interesting additional note is that more "w"s can be added to indicated a longer or more intense laugh. Kind of like changing it to a "lmfao," with room for more degrees in between, I suppose. It's turning out to be a very light month on posting - sorry about that. Things have been busy with work and some ESL teaching I've been doing, and I guess I have been somewhat mopey and demotivated recently. My birthday is tomorrow and I've metamorphed into one of those people who hate being reminded that they're a year older. I guess I have just been kind of down about how things are going in my life right now and how little it feels like I've accomplished. Still, I do have things and people to be grateful for. Stay tuned - I do have a short Japanese-related post a-brewin' in my head; just have to let it fully percolate and put it to paper. I mean pixel. If you've ever heard the Japanese pronunciation of "Bach" and you're anything like me, you've probably scratched your head (at least figuratively) and thought "hmm, that's odd." Yes, I'm talking about the Bach the composer. In Japanese, it is spelled/pronounced 「バッハ」. Yup, like "Baja." I always think of the Mexican chain Baja Fresh. 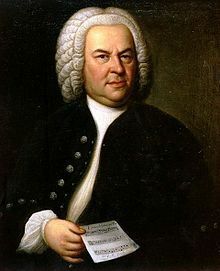 After a few searches in English, I came up with this link, which has a little audio clip near the bottom with the proper German pronunciation of "Bach." Basically, English and Japanese are both off. Not that I can speak any German, but I've heard enough of it in movies and such that I can somewhat pick up on pronunciations. The "ch" sound seems to be a more guttural union of "h" and "k" than we use in English. Almost a soft "k," if that makes sense. If you've studied any basic German, one of the most basic words is "ich" (I), and it has the same kind of sound. It's not a sound we use. Japanese doesn't have it either, and so while we English-speakers decided to just go all in with a hard "k" sound, the Japanese dropped the "k" and went full "h."
Honestly I was going into this one hoping that English had it right, but it looks like a draw. I also believe that Englsih speakers map the German "ch" sounds to a "K" because it's the closest thing they got. :) That's usually how people start listening to and speaking a foreign language and it's where all the funny accents come from. Describing the pronunciation it really hard for me though, for one because English is not my mother tongue and second because I would even have problems describing it in German. ;) If I absolutely had to describe it, I would reluctantly say that it might relate a bit to how it's pronounced in Japanese and at the same time that the "ch" sounds a bit like the "wh" in "cool whip" (or was it whipped cream?) 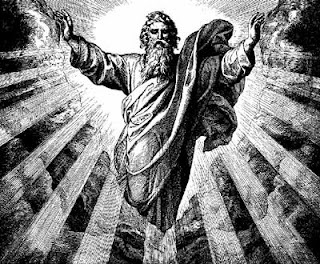 when Stewie from Family Guy says it with his odd "hwip" pronunciation, albeit more roughly expressed. So then it appears that the Japanese does edge out the English pronunciation! And if I ever take up German, I'll have to work on my "ch"'s.